Is it possible to solve the problem of water stagnation on raised floors? How is it possible to create a raised floor with closed joints, which are always inspectable? 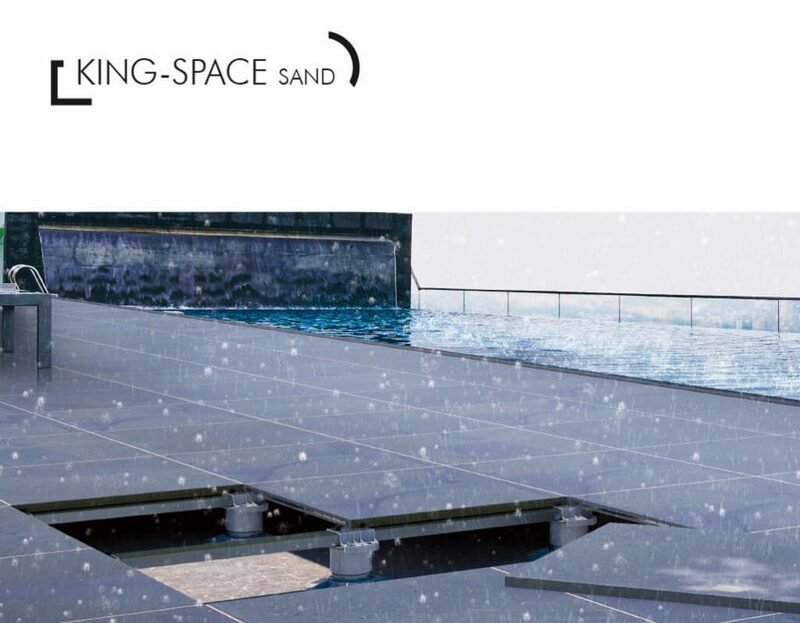 The King-Space Sand system allows the creation of exclusive closed joints with an elegant sanded finish, on raised floors for outdoor use which, by interrupting the surface tension of the stagnant water, allows it to flow easily towards the perimeter of the floor. For this reason, it is advisable to provide a raised slope of 1% for raised floors. 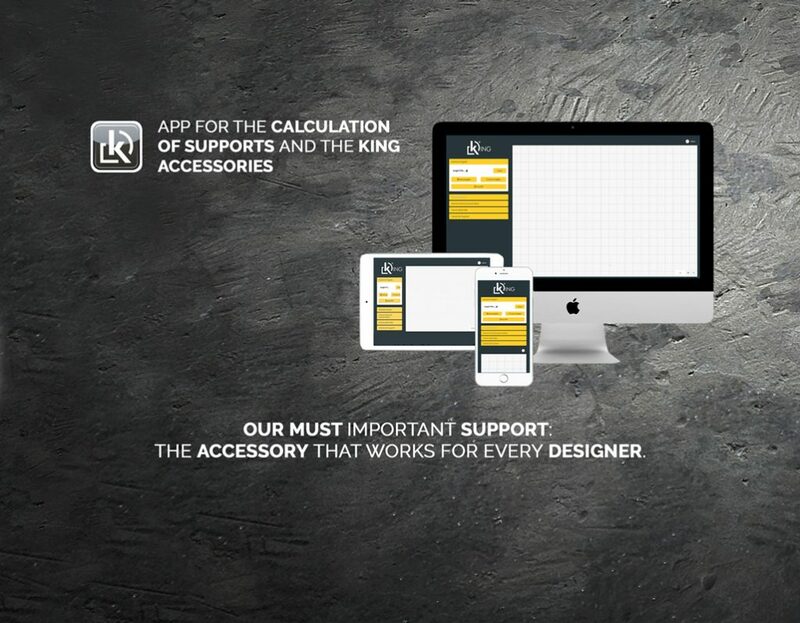 King-Space Sand is designed to be used in combination with the KING supports and are complementary to it. 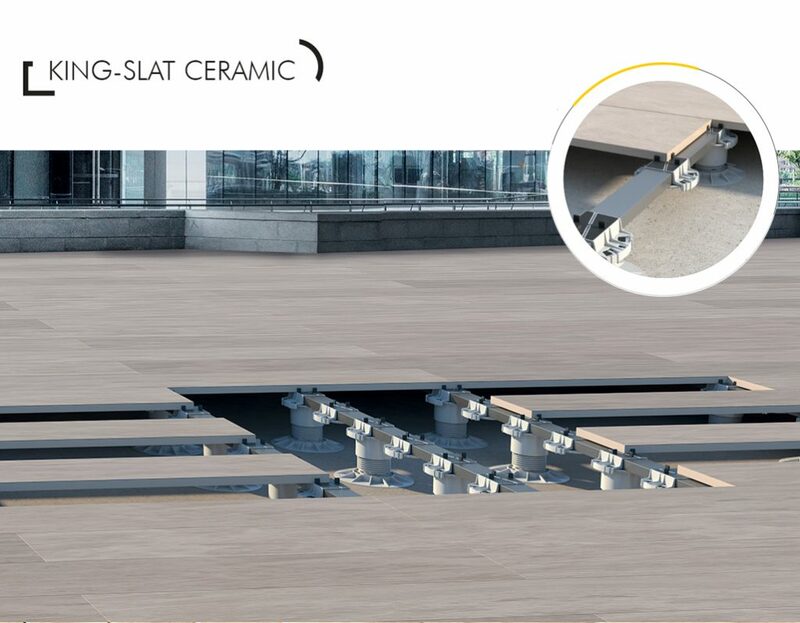 The system is based on the use of the King-Space grouting profile, made of AISI 304 stainless steel, which is inserted with the top downwards inside the joints between the raised floor tiles. This way, supported by a simple frame made of metal beams, anchored to the King supports thanks to the King-Specular adapters, the King-Space profiles are arranged in all the joints of the flooring, creating the ideal bed to accommodate the special “Gator Tile Sand” polymer sand, for an elegant, non-draining closed-joint effect. 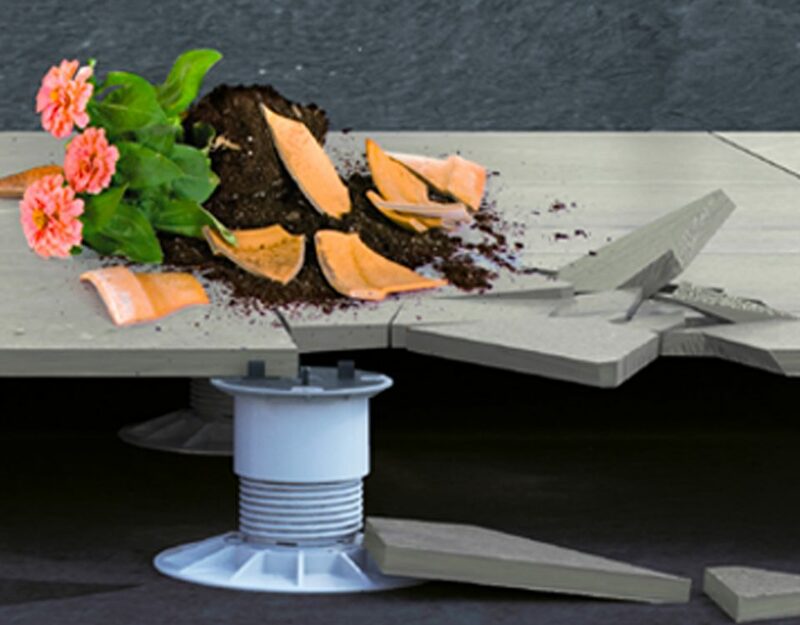 In any case, the raised floor remains always inspectable, since the joint system can be removed with a simple procedure and then restored after inspection. Gator Tile Sand polymer sand is available in 4 elegant finishing colours, to create perfect combinations with any type of ceramics.